I'm feeling pretty proud of myself today. After Will's Cross Country practice was done I dropped him off at home and went down to Moraine Valley Community College to find out how close I was (or not) to an Associate's Degree. I currently have a 3.05 GPA (I need to make it to 3.5 if I want to earn Phi Theta Kappa Honor Society before I graduate) and I am closer than I thought I was. To earn an Associates in General Studies I need to complete 3 courses - COM-101, COM-103 (Speech Fundamentals) and MTH-120 (Math). COM-101 & COM-102, COM-103, MTH-098 & MTH-120 and BIO-111. To earn an Associates in Science I need to complete 8 courses - COM-101 & COM-102, COM-103, MTH-098 & MTH-120, BIO-111, BIO-180 (A & P), and PHS-103. 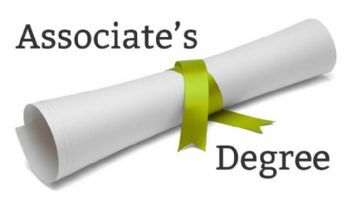 If I complete all 8 needed to earn the Associates in Science I can also earn the Associates in General Studies as well and technically have 2 Associates Degrees. Good part is I can honestly take most of those via online classes. I'm excited about it for sure! The Fall 2016 classes literally started today so I will not be able to jump in, but this gives me direction to work on financial aid and get things ready to go next semester if I'm lucky. I could truly take the easy way and go for the Associates in General Studies, but I really want to go for the Associates in Science because that would actually allow me to earn BOTH of them! Two Associate's Degrees for the work of one - works for me! LOL And it would look better on a resume as well. I do still think about going back and finishing my Psych degree. Maybe someday. Beauty_Within MVCC doesn't offer a Bachelor's Degree. I'd have to go to a whole other college for that. Very cool! What would it take to get a bachelor's? Keep focused on your goals! You can do this!